Pin-Up Golf has created these great games as a way to increase revenues and fun at Charity Golf Tournaments! 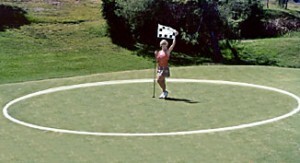 Pin-Up Golf sets up a challenging 30-40 ft. course on the putting green with flags, trees, and fences. The putting contest typically begins 1 hour before tee off. Each player gets 2 chances. If no one sinks the putt then the closest to the hole wins. If more than one person makes it then there is a putt off. During the putt off each person who made the putt gets an additional chance at the hole. The player who’s ball is closest to the hole wins if no one makes it in the hole during the putt off. This game is set up on a Par 3 of the golf course. The players all tee off and the closest to the pin in each group wins a prize. The closest of the entire day wins a bigger prize, or you can put all Closest to The Pin winners from each group name in a hat and draw the Grand Prize Winner. This game is set up on a par 3 hole of the golf course. Each player that simply lands and stays on the green with their first tee shot wins a small prize or we can be put them a drawing for a big prize or we can do both. 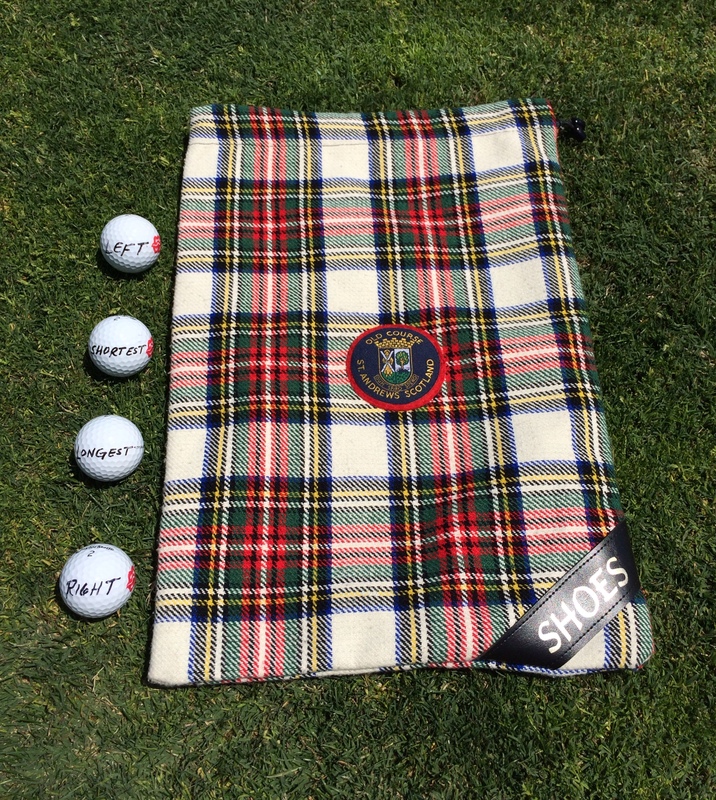 This is a fun way to give out lots of prizes at your event and keep your golfers happy. This game is set up on a par 4 or 5 hole of the golf course. Each player who simply lands and stays in the fairway with their first tee shot wins a small prize or we can be put them a drawing for a big prize or we can do both. This is a fun way to give out lots of prizes at your event and keep your golfers happy. At registration the golfers receive 3 playing cards to start the Poker Run. The player receives 2 additional cards on the golf course from the Pin-Up Golf Team either on 1 or 2 specific holes. We have a full proof system to keep the players from trading cards with each other. They are allowed to exchange and redraw cards with us for an additional donation to the charity. The player with the best hand at the end of the day wins. Players really enjoy this fun game and all levels of golfers can play. This game is set up on a LONG par 5 hole of the golf course. Each group donates a set amount agreed to by the tournament director before the event. They chose the team captain to be the roller of our HUGE FUZZY PIN-UP GOLF DICE. If they roll 1-6 the team gets to go to the ladies tee box to tee it up. If they roll 7 – 12 the team goes to a 375 yd. marker in the middle of the fairway to tee it up. If they roll doubles they go to an area 75 yds from the green to chip from. Pin-Up Golf will mark each designated spot with a sign so the golfers know where to go. We also sometimes just use 1 of the Die and have different yardages or prizes for each number they roll. This is a HUGE hit as everyone wants to Roll the HUGE Pin-Up Golf Dice and it helps their score. This game is set up on a par 4 or par 5 hole of the golf course, preferable with a downhill fairway. The player guesses how far they believe they will drive their ball off the tee. The Pin-Up Golf staff records this information. The golfer must use a driver or 3 wood. After the golf ball is hit, (the ball must be hit with full force – with the club normally used on that hole) we use the Bushnell Laser Rangefinder Binoculars to focus in on the ball and measure the distance. The winner is either the person who guess the closest to his/her yardage for a big prize or everyone who gets within 10 yards of their guess for a smaller prize or we can do both. It’s pretty high tech and impressive. After the golfer’s hit their drive from the tee we will pull ONE BALL out of the Bag and whatever it says is who will win the prize. This is a fun game as you do not necessarily have to hit a good shot to win a prize. This game is set up similar to the On The Green game on a Par 3 hole of the golf course. However, we put a 30ft. circle around the pin and if the player hits their ball and it lands in the circle they win the prize. This makes it a bit more challenging for the experienced golfer. We can also make this a money hole game for an extra donation and if they land in the circle they double the money. This game is set up on any hole of the golf course. Each player in the group donates a set amount to the charity. The Pin-Up Golf dealer then deals the cards to the group – we are not included in the game. The best hand wins either the cash or a set prize.